Midland Gutter Pros does everything that the customer needs, and the staff is prepared to help with everything from the installation to the service and repair. There are special gutter services that could be provided, and there are many great technicians who come to help the family when the appointment is made. Many homes need new aluminum gutters, or they just need an estimate because they are not in the best repair. Look at what can be done when the Midland Gutter Pros team comes to the house. Measurement for all aluminum gutters is very important, and the appointments are set up in a way that help the family get the help that they need. They could have these gutters installed quickly, or they could have a number of options presented for consideration. It is something that the family cannot do on their own, and the people that get new gutters never have to deal with leaks or the problems that occur when the gutters get full. Broken gutters can be replaced quickly, and the family can be given tips about caring for their gutters. 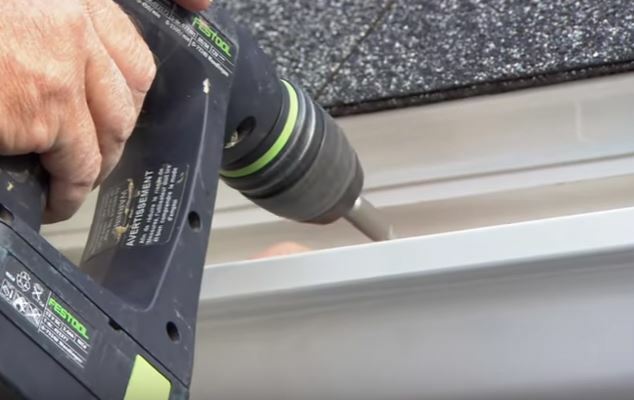 Aluminum is a very modern thing to use when building out your gutters, and you could have our gutter installers in Elkhart help you line the house with gutters that look perfect. You could make your home look brand new, and we can help you by painting the gutters when the gutter contractors are on the job. The aluminum can become so much a part of your home that you will feel like it has always been there. New aluminum gutters are easy to install, and they are very simple to choose because they are so modern and advanced. The Midland Gutter Pros have many options that range from regular gutters to heated gutters that will help melt the snow that comes in the winter. These gutters are much more efficient, and they are not nearly as expensive as the homeowner would think. They get the exact results that they need, and they do not have to spend so much money on something that is needed in the house. New gutters can be installed quickly, and they could be chosen for their style or accessories. Calling now is the best way for people to get the service that they require. They can talk to someone who will help answer their questions, and they can have a long chat about any repairs that might be needed. The family can get on a service plan, and they can get to know the people at Midland Gutter Pros who are doing the work for them. This is a critical part of the house, and it is something that prevents leaks. The gutters will help take snow off the roof, and the gutters could be heated or installed in a better way. This is the best thing for a family that is trying to care for their homes, and this can be done right away even in an emergency situation.